This lithe, full bent Billiard is, like many a Peterson shape, singularly iconographic of the Irish marque. 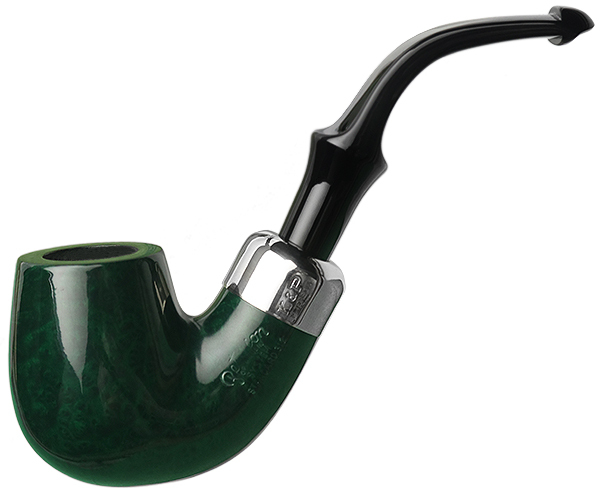 It's especially handsome here as part of this year's St. Patrick's Day pipe offerings, the first ever, in 21 years, to be that of the famed System Pipe sort. And in green, no less. You'll find this "312", which comes in both P-Lip and fishtail selections, in the P-Lip one.